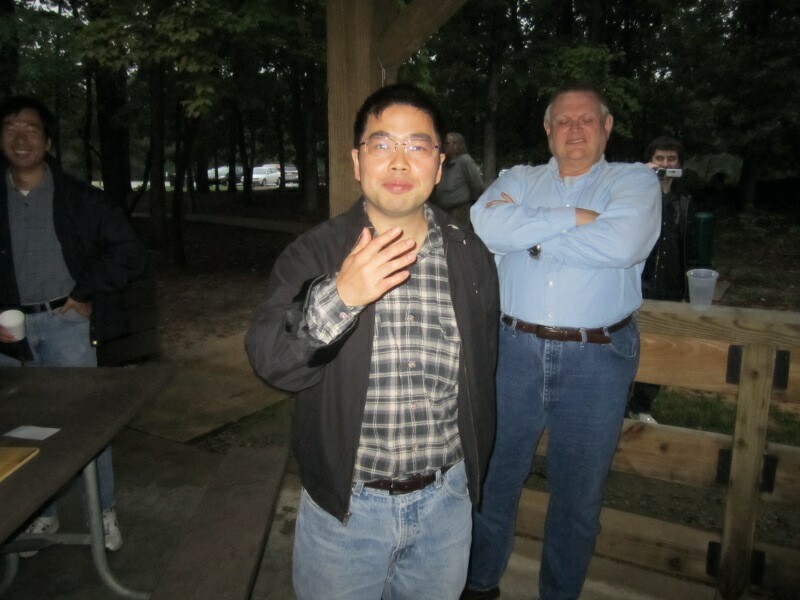 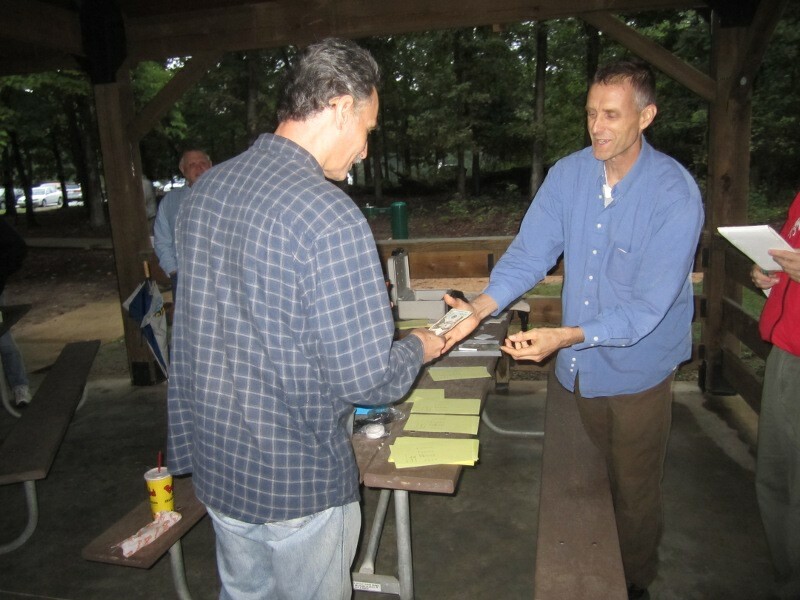 Changlong Wu 7d swept the 11th Triangle Memorial Tournament, held at the traditional outdoors setting at Umstead State Park in Cary, North Carolina. 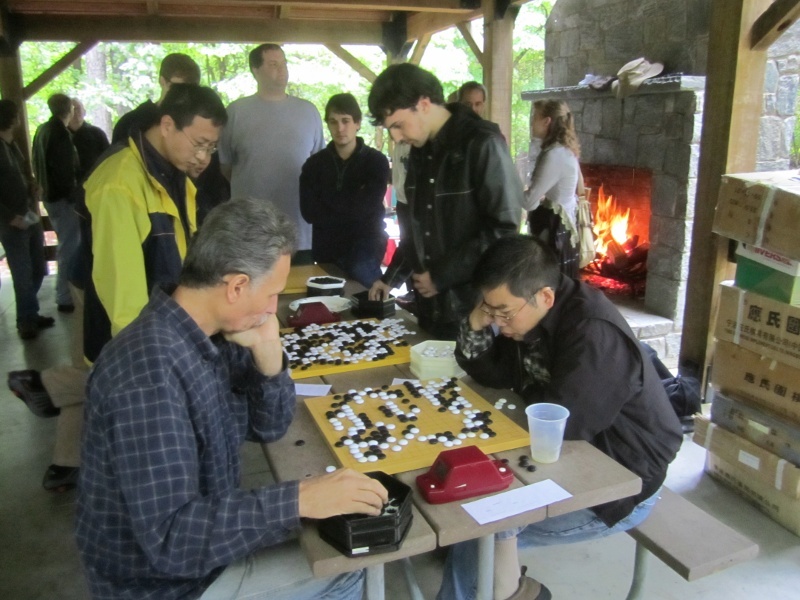 A total of 38 players participated, and as is customary for this event, all the entry fees were returned as cash prizes. 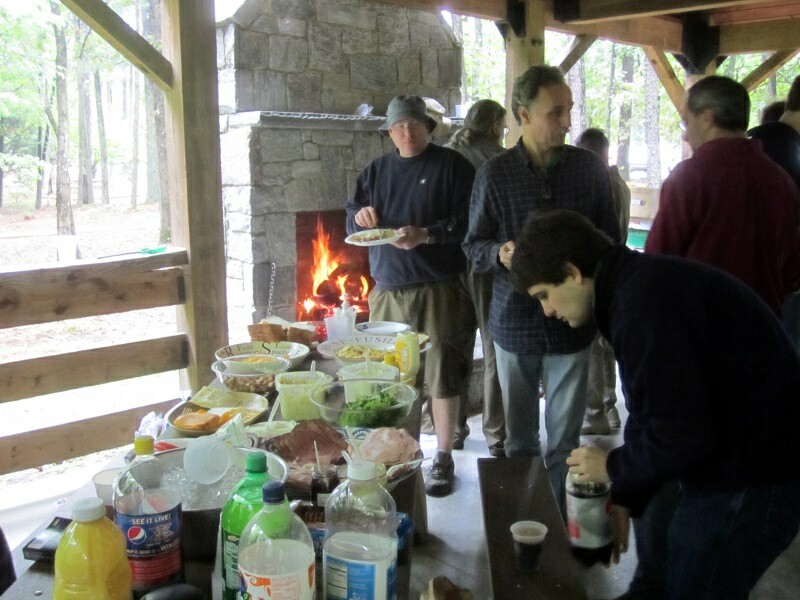 In addition the players were treated to a full lunch and daylong snacks prepared by tireless Arlene Bridges, who added to the warmth of Southern hospitality by stoking a blazing fire in the fireplace of the picnic shelter to fend off an early fall chill. 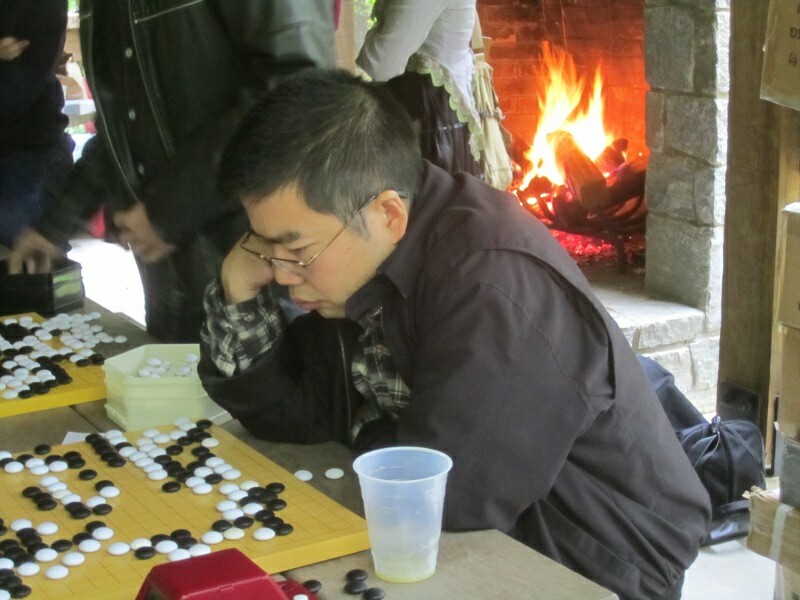 All players scoring at least three wins in the four rounds of play received cash prizes, led by Changlong Wu (seated at right), who topped the Open section with a perfect 4-0 score despite having to give three handicap stones in each of his first three games. 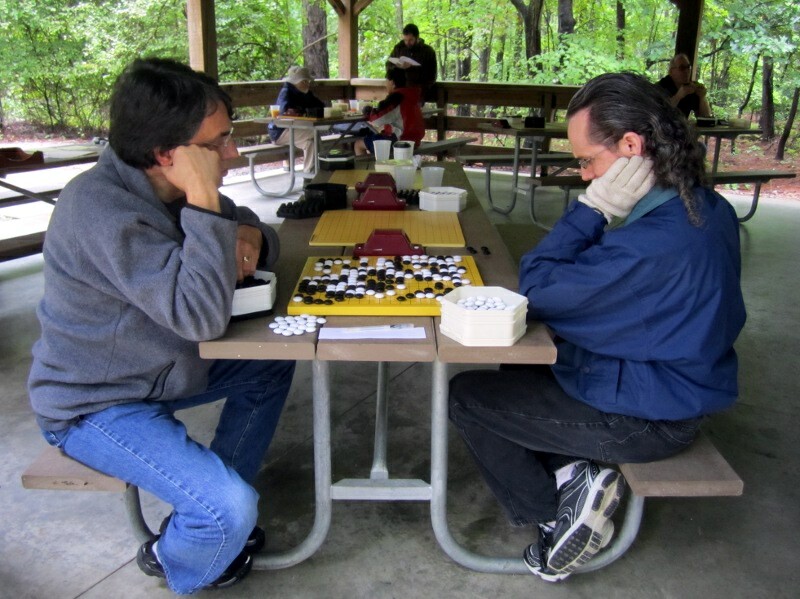 Second place in the Open section went to Frank Salantrie (seated at left) with a 3-1 score. 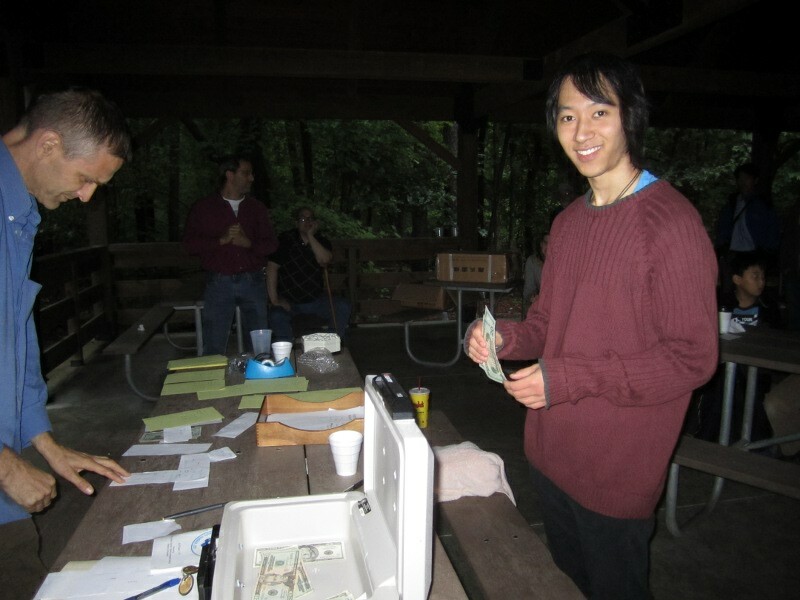 Other prize winners were Rodney Keaton and the father-son team of Xiaoping Wu and Brian Wu, all scoring 3-1 in the 1D-1k section. 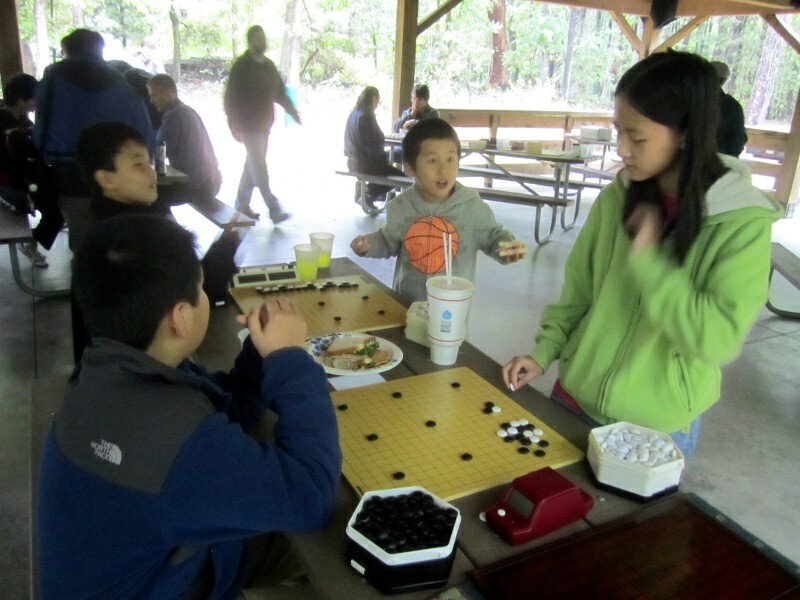 Alex Panaccione topped the 2k-3k section with a score of 3-1, and in the highly populated 5k-6k section Neil Bernstein scored a perfect 4-0, followed by Justin Blank and England's Alice Bradley at 3-1. 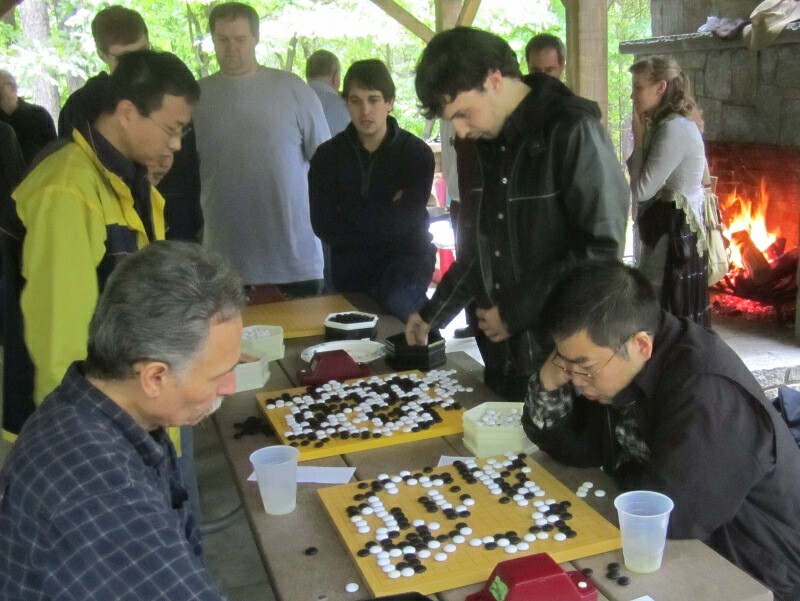 Seth Cardew and John Aiken tied for first in the 8k-9k section at 3-1, and Alvin Chen won the double-digit kyu section, also at 3-1.